In the latter half of the 20th Century, Raymond Rohauer was one of the nation's foremost proponents of experimental cinema. Programming diverse films at the Coronet Theatre in Los Angeles, and making the films in his personal archive available for commercial distribution, he helped preserve and promote avant-garde cinema. 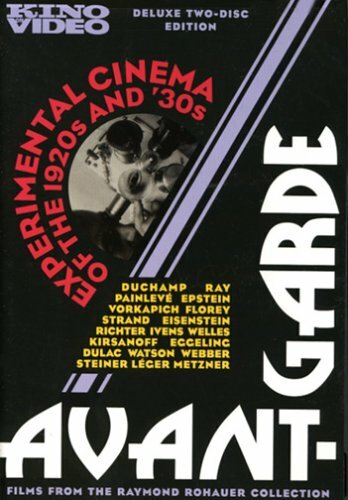 This two-DVD collection assembles some of the most influential and eclectic short films in the Rohauer Collection, including works by Man Ray, Hans Richter, Marcel Duchamp, Watson & Weber, Fernand Leger, Joris Ivens, Dimitri Kirsanoff, Jean Epstein and Orson Welles.